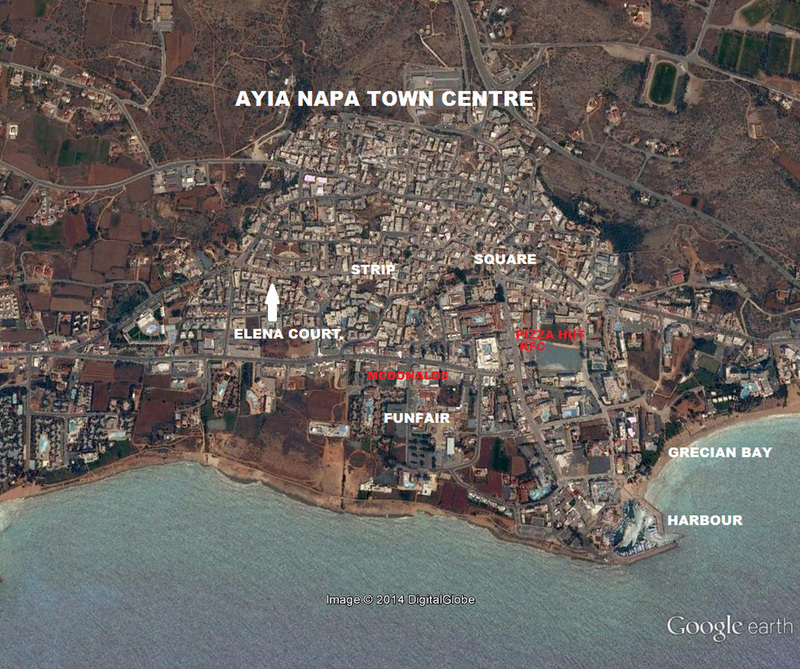 Elena Court is a block of apartments just off the main strip (Ayias Mavris) in Ayia Napa. There are shops, bars and restaurants within a couple of minutes walk and the seafront is also just short walk. ​Flat 32 Elena Court is a privately owned apartment available to rent to independent travellers who like to have a central base from which to make the most of Ayia Napa. The one bedroomed second floor apartment is air conditioned, with a balcony and TV and has a fully equipped kitchen with oven, microwave, fridge, washing machine and dryer.